Te Whāriki is the New Zealand early childhood education curriculum first introduced in 1996, updated in 2017. Te Whariki is underpinned by a vision for children who are competent and confident learners and communicators, healthy in mind, body and spirit. values consistent with upcoming school needs. Te Whāriki places the child in the middle of the curriculum – as the learner engaged with the learning environment, surrounded by various levels of learning: home, family, and the service; the adult environment and networks; and the nation’s beliefs and values about children and their learning and development. The New Zealand early childhood education curriculum highlights the need for each service to adapt the curriculum in response to the development and changing capabilities of the children at the service. The New Zealand early childhood education curriculum is play-based. School readiness is more about learning resilience and risk taking, than it is about literacy or numeracy milestones. And so New Zealand early educators use narratives, rather than testing, to assess the progress of each child. 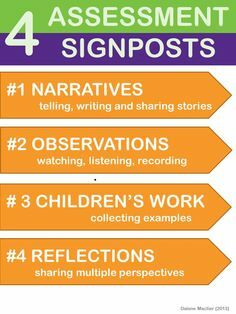 Careful observations are combined with what is called reflective practice, to build a picture of a child. In this way assessment and play can integrate. Goals: Children experience an environment that promotes health, nurtures their emotional well-being and they are safe. Goals : Children and their families experience an environment where: connecting with family and the wider world are affirmed and extended; they know that they have a place; they feel comfortable with the routines, customs, and regular events; and they know the limits and boundaries of acceptable behavior. Goals: Children experience an environment where: there are equitable opportunities for learning, irrespective of gender, ability, age, ethnicity, or background; they are affirmed as individuals; and they are encouraged to learn with and alongside others. Goals: Children experience an environment where: they develop non-verbal communication skills for a range of purposes; they develop verbal communication skills for a range of purposes; they experience the stories and symbols of their own and other cultures; and they discover and develop different ways to be creative and expressive. Goals: Children experience an environment where: their play is valued as meaningful learning and the importance of spontaneous play is understood; they gain confidence in and control of their bodies; they learn strategies for active exploration, thinking, and reasoning; and they develop working theories for making sense of the natural, social, physical, and material worlds. Margaret Carr and Wendy Lee are two leading New Zealand educators, and collaborators in the development of Educa. Margaret Carr wrote Learning Stories: Constructing Learner Identities in Early Education. Both are in demand worldwide for their insights into early education. Margaret Carr, Professor of Education at the University of Waikato and Wendy Lee, Project Director of the Educational Leadership Project, which provides professional development for early childhood teachers in New Zealand collaborated with Brenda Souter and Linda Mitchell to write Understanding the Te Whariki Approach, Early Years Education in Practice. An interesting review of how services are using Te Whariki was completed by the OECD in 2012. It outlines curriculum strengths and weaknesses, and reports on studies tracking how educators are using the curriculum day to day. 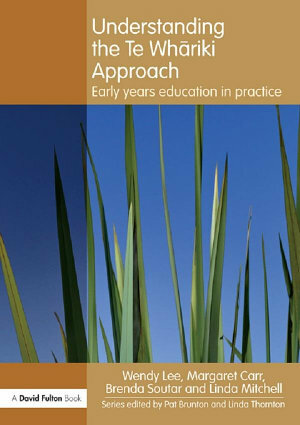 You can download more information on the Te Whariki and New Zealand early childhood education in general and the New Zealand government education website here. Te Whariki is preloaded into the Educa early childhood software platform, with and without examples. There is also the Samoan version.